And exhale! 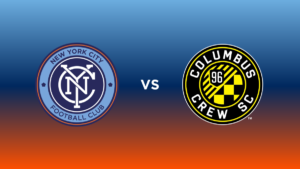 Second place belongs to New York City FC after a dangerous 2-2 draw in CitiField against Columbus Crew. Lucky it did not play out like the US Men’s National Team situation (still too soon?). City has the semifinal spot and awaits the the highest seed to press through these midweek play-in games. So, what comes out of this last regular season match, and the entire regular season overall? 1. David Villa scored his 21st and 22nd goal this season. He has contributed to 31 of the 56 goals scored this season (~55.36%). 2. Perfect attendance for Alexander Callens, who is the only outfield player in the league to play all 3060 minutes. 3. Jack Harrison is the only other player besides Callens to make an appearance in all 34 matches. Harrison has 2757 minutes. 4. Villa and Maxi Moralez tie on the club-high nine assists. 5. Villa had a total of 135 shots, more than double the next highest, who is Harrison at 65. Out of the 135 from Villa, 55 were on target. Out of Harrison’s 65, 31 were on target. 6. Harrison leads the team with 6 match-winning goals. 7. FiveThirtyEight has NYCFC at 13% chance of winning MLS cup. Toronto at 27% and Seattle at 14% are the only two clubs with higher chances. 8. Villa had five penalty kicks, and scored on four, missing the one on Sunday. He has missed one in each of the past two seasons (the way I see it, it had to come). How has the season treated City? 9. City finishes with a record low 9 losses. 10. Since match day 4, the 2-1 win over San Jose, City has been better this year than before in terms of points. 11. Since the last report after match day 25, the 2-1 win against New England, NYC points per match has trended down. Although at match day 27, the 1-0 win against Sporting Kansas City, 1.85 points per game was the best ratio in City history, looking past the first five matches. 12. Defense has been much better this year, letting in 14 less goals than last season. 43 goals against is 5th least in the league, behind Kansas City, Toronto, Seattle, and Atlanta. However, the attack has not been as good, scoring six less goals than in 2016. Last year, City was top of the league in goal scoring, but this year, 56 is only good enough for sixth best, behind Toronto, Atlanta, Chicago, Portland, and Houston. 13. The goal differential has not dropped below +13 since the 2-1 win over New England. 14. This has been the concern of fans of NYCFC. Since match day 31, a 0-1 win in Montreal, City’s goals per match number has been lower than in 2016. It has been trending down since match day 21, a 2-1 win against Chicago. 15. A drastic drop in goals conceded per match has to be contributed to the work of the defense. Maxime Chanot, Callens, Ethan White, Frederic Brillant, Ben Sweat, Ronald Matarrita, Andraž Struna, Sean Johnson, and I will include Yangel Herrera and Alexander Ring (Ring co-leads the league on tackles at 116) take a bow. 16. In 2016, City finished second in the East and fourth overall. This year, City finishes second in the East and second overall. That’s improvement. So, can we say good year? So far, I think so. Now it’s playoffs. We saw last night that Red Bulls eliminated Chicago Fire. Now we look to tonight’s match to see who NYCFC will face on Tuesday. While we watch, let’s enjoy what the Blues have accomplished this year. Improvements on the regular season. Can NYCFC improve their playoff history?